Even before it was published a few months ago, Salman Rushdie’s Two Years Eight Months and Twenty-Eight Nights (Random House; $28) was the No. 1 bestseller in Amazon’s “Magical Realism” category. The term suggests an inevitable analogy with Gabriel García Márquez, and there has always been a tendency to link the two writers—Márquez the founder figure, Rushdie the greatest of his imitators. But the analogy is a false one, as Rushdie’s new novel makes especially clear, and it’s useful to articulate the difference. In Márquez’s fiction, magic is part of reality, and the characters do not distinguish between the real and the magical, because that distinction doesn’t exist. In Rushdie’s work, magic and reality are problematically confounded, and the characters struggle to negotiate the shifting parameters of their world. Two Years Eight Months and Twenty-Eight Nights—a thousand and one nights, naturally—is a dramatization of this struggle. The novel tells the story of a war between the human world and the world of the jinn and jinnia, creatures of “fireless smoke” who live in a place called “Peristan,” or “Fairyland.” They access the human world by way of “slits” torn open by a Sandy-like superstorm, and their appearance marks the advent of a magical reality on earth—a time of “strangenesses” followed by outright conflict. Humans must learn to accept this new reality, which upsets and irritates them. It is a story, in short, about stories that come to life, and so, in a sense, Rushdie’s characters face a problem of literary interpretation. As one man declares late in the book: “It’s a terrible thing when one speaks metaphorically and the metaphor turns into a literal truth.” This is not a problem that anyone might encounter in Márquez’s Caribbean. 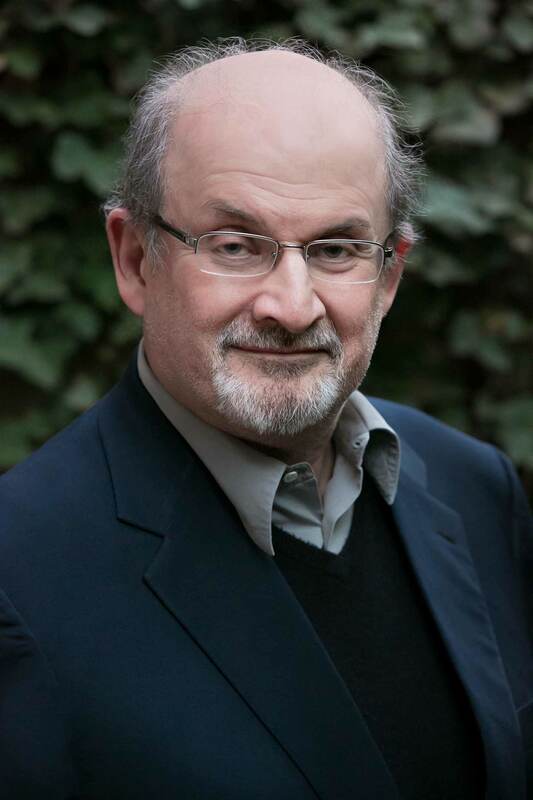 Rushdie’s new novel is an arch, messy, often clownish book. It’s also a thoroughly committed work of satire. In one of the first battles of the war, a dark jinn called Ra’im Blood-Drinker swallows the Staten Island Ferry. (There is a good jinnia too, the Lightning Princess, who fights for the human cause beside her own part-jinn, part-human descendants.) The president tries to reassure the nation by repeating familiar post-9/11 “nostrums,” which is very disappointing to the narrators, a collective “we,” who tell us: “He had become a president of empty words. As many of them are, as they all have been, for so very, very long. But we had expected better of him.” Because we have already been told that the president considers himself “a man of reasoned action, handsome (if a little jug-eared)…practical, pragmatic,” with his “feet firmly planted on the ground,” it’s plain that we’re supposed to think of Barack Obama. And thus the joke: The president’s great flaw is that he believes in reality. Like Obama, he fails to appreciate that his enemies are beyond reason and is therefore “utterly incapable of responding appropriately” to the crisis. And so it goes. The armies of the dark jinn bend humans to their will, and the great problems of our time are rationalized, so to speak, as symptoms of demonic possession—a device of great explanatory power. In the next scene, Daniel Aroni, “the über-boss of the world’s most powerful non-governmental financial institution,” is possessed by a jinn named Shining Ruby and begins to describe a “conspiracy” in terms that amount to a simple statement of our economic reality: He means to destroy “America’s domestic economy through the introduction of derivative debt which is sixteen times greater than the world’s GDP.” Later, jinn possession is linked to terrorism and Islamic fundamentalism. We hear of “executioner jinn parasites stoning women to death in desert places; and suicide bomber jinn parasites allowing their host bodies to explode on army bases and then immediately possessing the nearest soldier and murdering more of his fellows in what [is] called an insider attack.” The four central jinn villains establish a repressive, ISIS-like state somewhere in South Asia or the Middle East. It’s all the more melancholy, then, to consider the book’s resolution: The war is won; unreason is defeated; magic is banished from earth; religious faith of all kinds is eradicated. Very good. But it takes the intervention of the Lightning Princess and her brood to achieve this victory, and even then the rules of the narrative need some rewriting before the required plot events can unfold. What hope is there for us, in that case? If only unreason can defeat unreason, how can we believe in the victory of reason?